No red forms are needed to print W-2 and W-3. 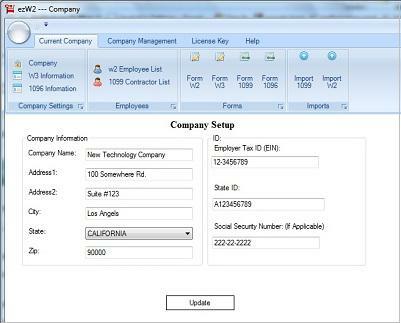 Our ezW2 software can print ALL W-2 forms (copy A, B, C, D, 1 and 2) and W-3 forms on plain paper with your laser or ink-jet printer. The black and white substitute forms of W-2 Copy A and W-3 are SSA-approved (Vendor ID: 1335). 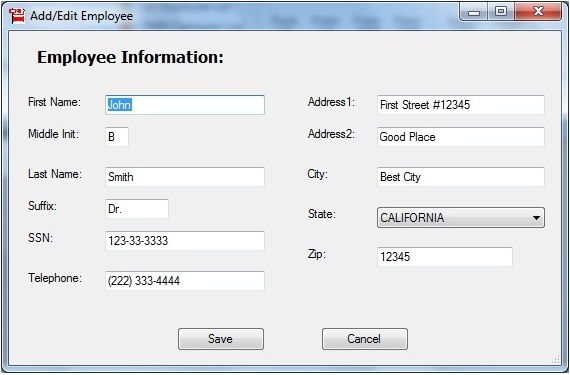 If you prefer the pre-printed forms, ezW2 software also prints data only on red forms. 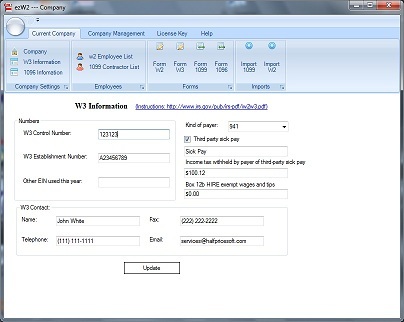 Our ezW2 1099 Software can print 1099 misc forms Copy 1, 2, B, C on white paper. IRS does not certify the substitute forms right now. Red forms are required to print 1099-misc copy A and 1096. 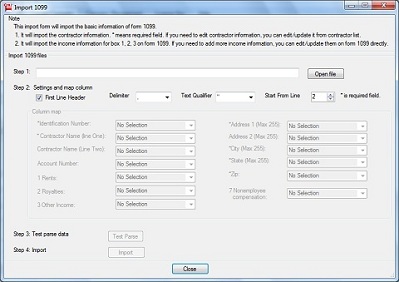 If you want to cut the mailing cost, ezW2 software can generate PDF format forms for W2 copies B, C, D, 1 and 2 and 1099-misc copy 1, 2, B and C.
Our ezW2 software can generate 1099 eFile document and W2 efile document that you can upload to IRS and SSA Sites. W2 and 1099 Forms Filing Deadline-New File Dates!!! Can ezW2 work for accountants? ezW2 application is approved by SSA to print all W2 copies on White paper. 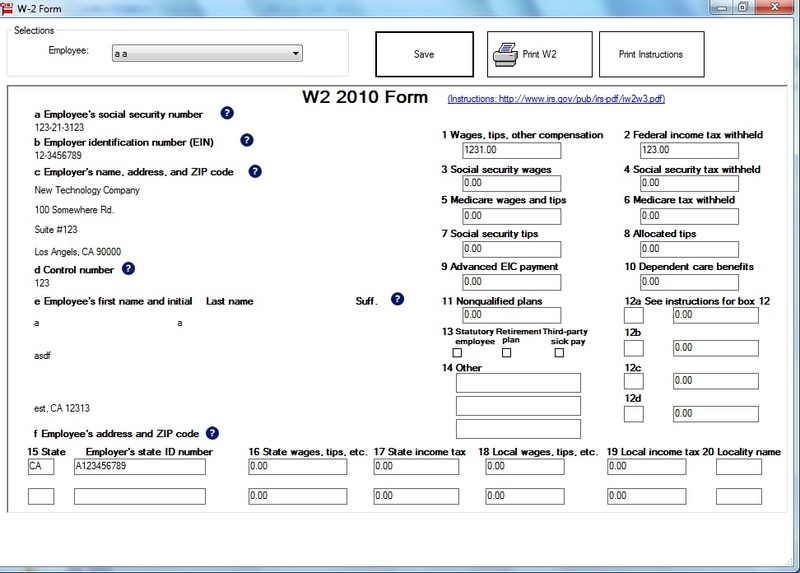 If you prefer red-ink form, this w2 software can fill data on pre-printed forms too. or print SSA-Approved laser substitute for W2 Copy A on plain white paper. 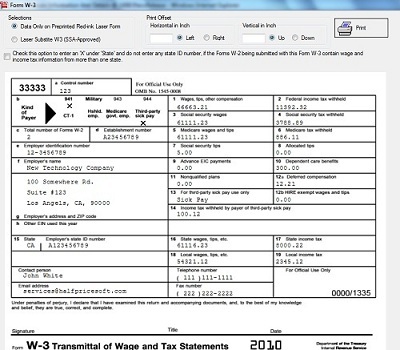 W2 Copy B: To be filed with the employee's federal income tax returns. W2 Copy C: For employee's record. W2 Copy D: For employer. W2 Copy 1: To be filed to state, city or local department (if required). 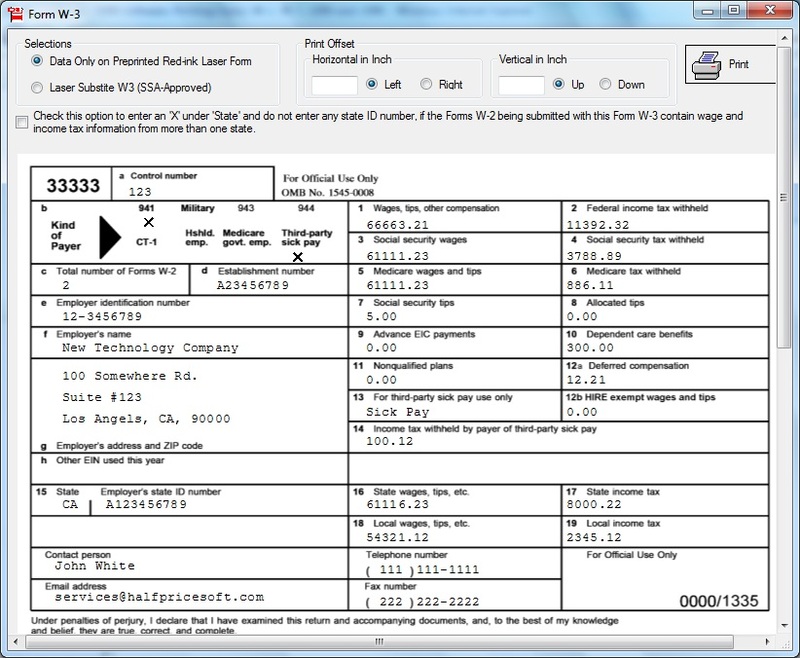 Print W3 Form: Transmittal of Wage and Tax Statements. 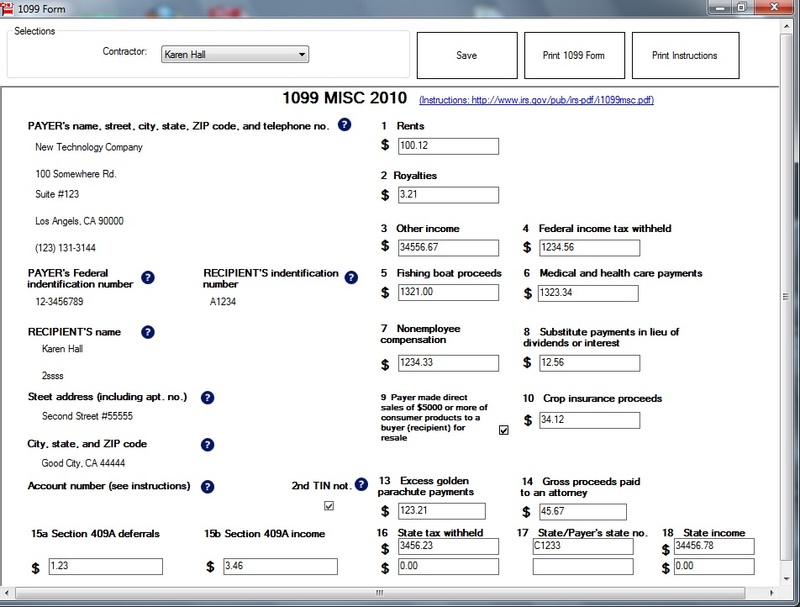 1099 MISC Copy A: For internal Revenue Service Center. 1099 misc Copy 1: For state tax department. Automatically calculates transmittal totals for 1096 forms. Import data from ezPaycheck payroll software. Import Contractor list and partial 1099 data from csv file. Note 1: Our system will send the key automatically once the transaction is done. Some mail server may block the message. If you cannot get it in 30 minutes, please contact us at services@halfpricesoft.com. Note 2: The software on the CD is the same as the one you download from our site. The CD option does not include the license key. If you can download this software from our site, you do not need the CD. You can just purchase the license key. The CD is for the users who cannot download software or who wants to keep a hard backup copy. Note 3: ezW2 2007, 2008 and 2009 version does not support PDF feature. 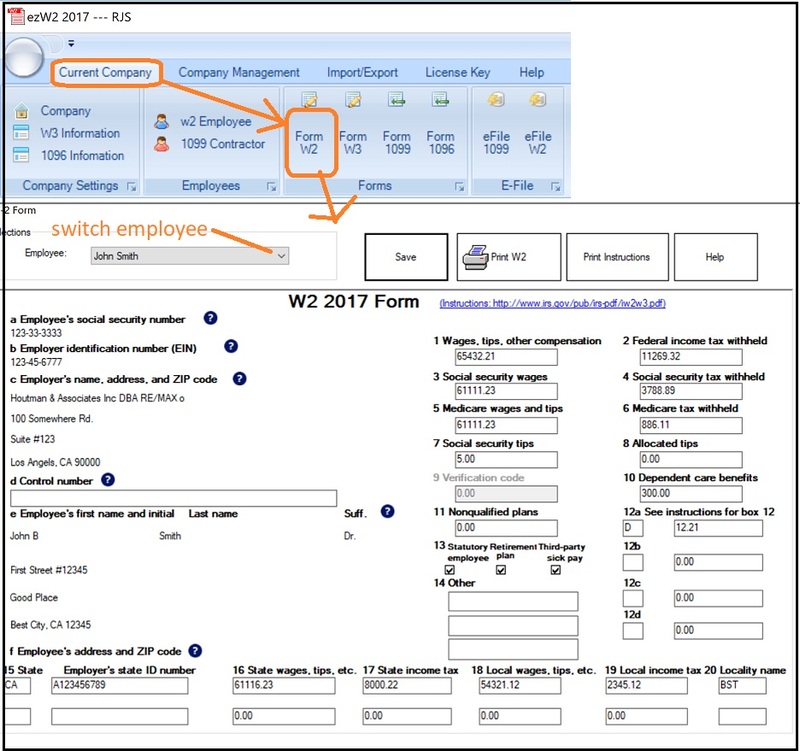 on this form, user can enter the general company information for w2 and 1099 forms, such as Company Name, Address, Tax ID and others. 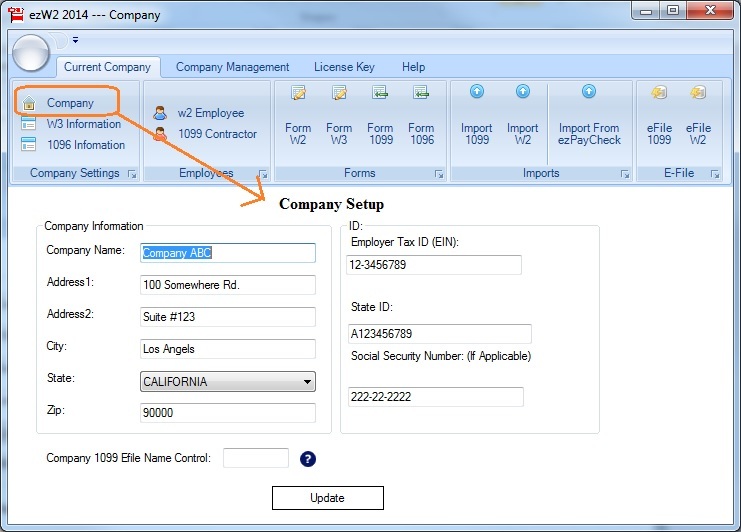 ezW2 allows user to set up unlimited companies. User needs to enter the filer name and contact information here. These information will be displayed on both forms 1099-misc and 1096. User can see contractor list on this form. User can add a new employee or edit or delete an existing one easily by clicking the link on this form. 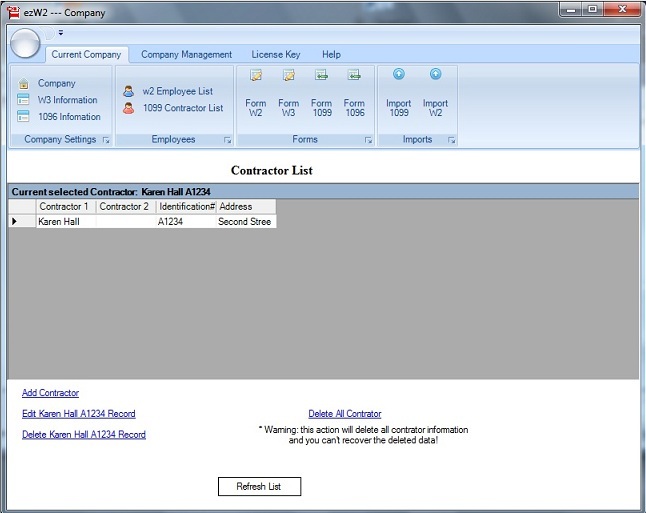 User can also import contractor information quickly by using 1099 import form. - Click the 'Print 1099 Forms' button to print the different 1099 Copies for this recipient. - To save time, ezW2 can import 1099 data from the external .CSV file. 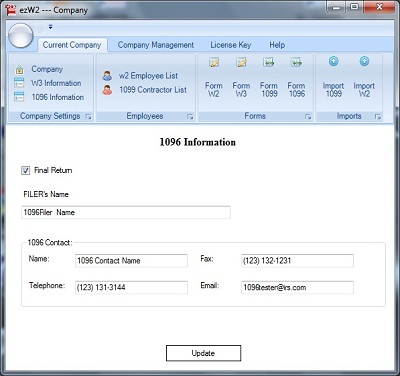 ezW2 will generate form 1096 automatically. 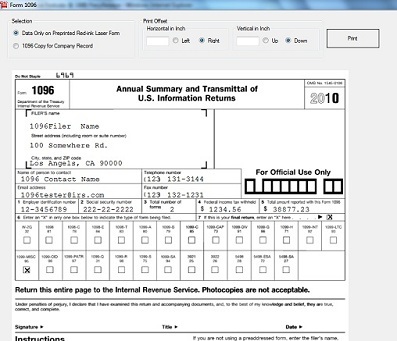 User can click the print button to print form 1096 Transmittal. Step 2: Set up W-3 information. These information will be displayed on forms W-2 and W-3. - User can add or edit employee information on this form. 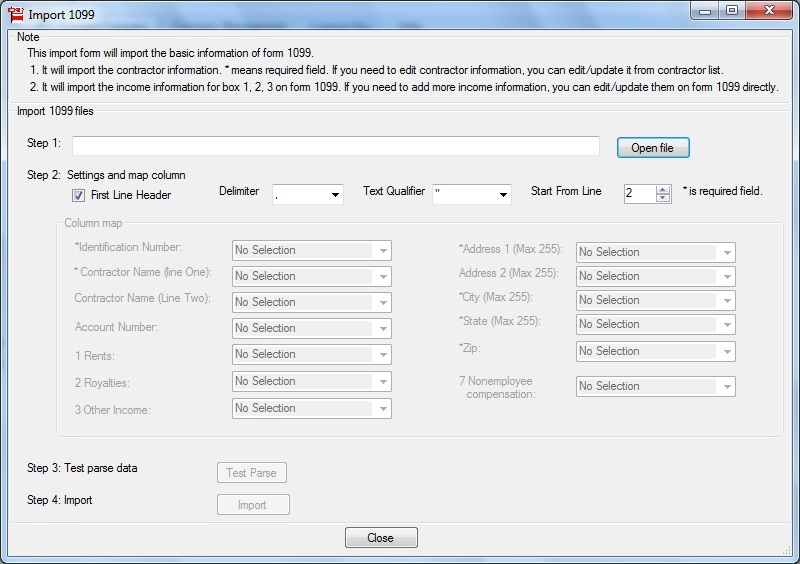 - To save time, you can also import 1099 data from csv file by using 1099 import function. - The employer information will be filled automatically. - Once an employee is selected from the list, the employee information will be filled automcailly. 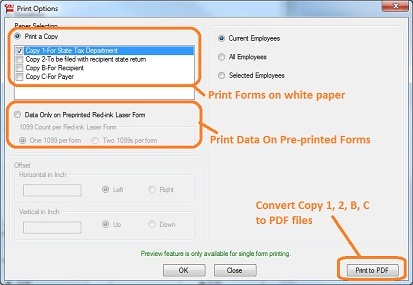 - Click the 'Print W2' button to print the different W-2 Copies for employees. - Click the 'Print Instructions' button to print W2 instructions. step 5: Print Forms W-2s. Quick Importing employee and W-2 Data. 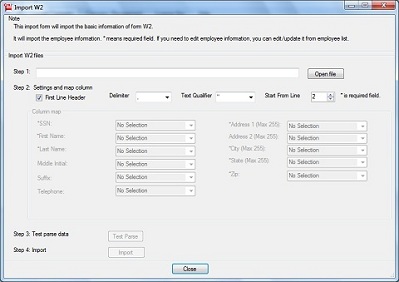 - To save time, ezW2 can import w-2 1099 data from the external .CSV file. 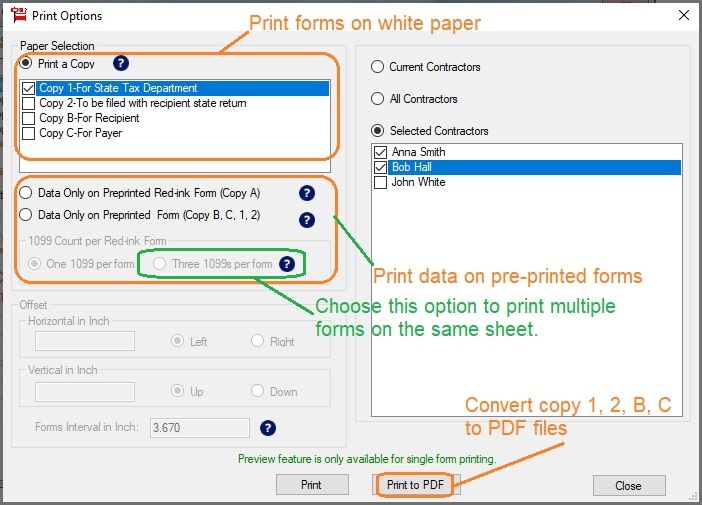 How to Print W-3 Form. 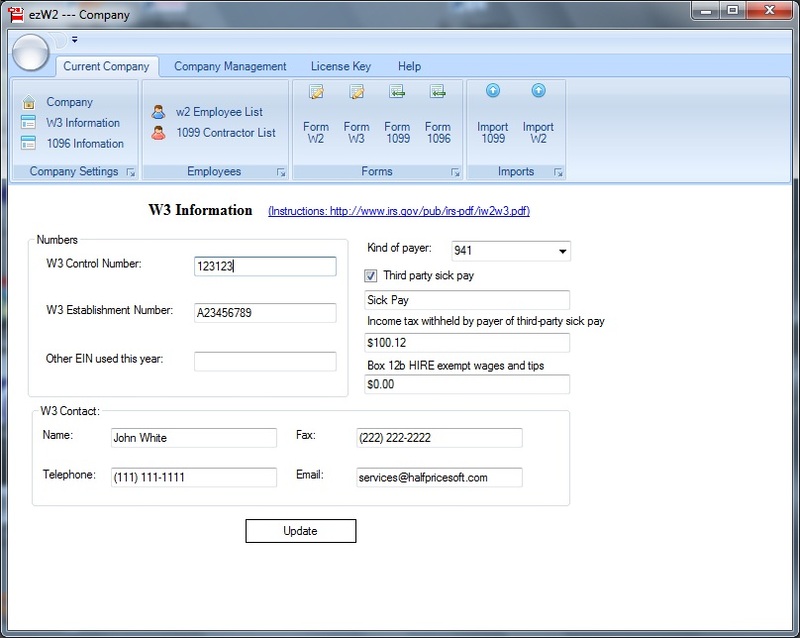 The W-3 form will be generated automatically based on W-2 data entered. 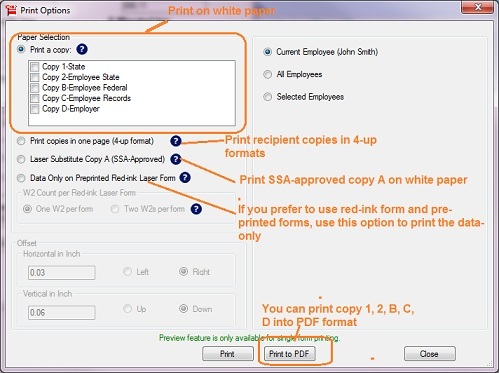 ezW2 can print w-3 data on Red-Ink W-3 form. Is ezW2 w2/1099 printing software for me? Trying ezW2 is risk-free! It fits for small to mid-size company and offers flexible, easy to use features. Just feel free to download and try it. No registration needed. No Obligation. I do not know much about accounting and computer. Can you use this W2/1099 software? Yes. ezW2 is very user-friendly and easy-to-use. We intentionally engineered this software for those end-users who are not professional accountants and payroll tax experts. We believe small business software should be simple - stupid simple - so that owners can focus their time and energy on running their businesses, not trying to figure out how to run software. ezW2 somes with sample database. Once you install this software, you are ready to generate your forms for testing purpose. Please feel free to try it. Will SSA accept laser-printed substitute w2/w3 forms on blank paper? Yes, SSA will acceipt substitute W2/W3 forms that exactly meets the specifications and approved by SSA. With ezW2, do I still need to buy red ink substitute W2 and W3 forms? ezW2 is a SSA approved software which can print W2 Copy A and W3 on plain white paper with laser printer. It also supports preprinted red ink substitute W2 and W3 forms. It is user's choice to select which type of forms for submission. What kind of paper can I user to print W2 Copy A and W3? The W2 copy A and W3 can be printed on good quality plain white paper with laser printer. If I have purchased ezPaycheck, do I still need to buy ezW2? ezPaycheck doesn't print laser substitute form W2 copy A and W3. You still need red forms with ezPaycheck. ezPaycheck doesn't print 1099/1096 forms. Is the support free for ezW2? You will see DEMO or SAMPLE images on the forms. Once you enter the key, these images will disappear. Does the ezW2 support multiple companies? Yes. In theory, it can support unlimited companies if your hardware is big enough. You can add a new company by clicking the top menu "Company Management->Add Company". What are the system requirements for ezW2 w2/1099 printing software? ezW2 can run on both 32-bit and 64-bit machines. Yes, we accept PayPal and credit cards. Form W-2, Wage and Tax Statement, is used in the United States income tax system as an information return to report wages paid to employees and the taxes withheld from them. The form is also used to report FICA taxes to the Social Security Administration. Relevant amounts on Form W-2 are reported by the Social Security Administration to the Internal Revenue Service. Employers must complete a Form W-2 for each employee to whom they pay a salary, wage, or other compensation as part of the employment relationship. The Form W-2 reports income on a calendar year (January 1 through December 31) basis, regardless of the fiscal year used by the employer or employee for other Federal tax purposes. Copy B - To be sent to the employee and filed by the employee with the employee's federal income tax returns. Copy C - To be sent to the employee, to be retained by the employee for the employee's records. Copy D - To be retained by the employer, for the employer's records. Copy 1 - To be filed with the employee's state or local income tax returns (if any). Copy 2 - To be filed with the employee's state or local income tax returns (if any). Employers are instructed to send copies B, C, 1, and 2 to their employees generally by January 31 of the year immediately following the year of income to which the Form W-2 relates, which gives these taxpayers about 2 1/2 months before the April 15 income tax due date. The Form W-2, with Form W-3, generally must be filed by the employer with the Social Security Administration by the end of February. A W-3 Form is a transmittal form which is sent to the Social Security Administration (SSA) showing total earnings, Social Security wages, Medicare wages and withholding for all employees for the previous year. The W-3 is required to be sent to the SSA no later than the beginning of March, along with copies of all W-2 forms for all employees. The totals for each item on the W-3 must equal the totals for all of these items on all employee W-2 forms. The W-3 also includes total state wages and withholding for all employees. Where I can find filing instructions for form W-2 and form W-3? Also, every employer engaged in a trade or business who pays remuneration for services performed by an employee, including noncash payments, must file a Form W-2 for each employee even if the employee is related to the employer. Anyone required to file Form W-2 must file Form W-3 to transmit Copy A of Forms W-2. Make a copy of Form W-3; keep it and Copy D (For Employer) of Forms W-2 with your records for 4 years. Be sure to use Form W-3 for the correct year. 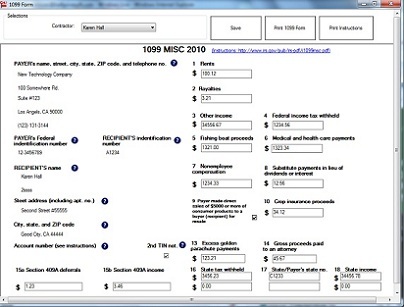 Where I can find filing instructions for form 1099-misc? Where To File W-2 . Form W-2 & W-3 Instructions .